What client says about us! Good to chat to you today, hope you are doing ok.
Further to our conversation and just to reiterate, the clients were extremely happy with your guiding, driving, discussions and your humour (as I was too). My view is that you are a sound birder, know your birds extremely well and do an absolutely fantastic job with regard to all the above points. I personally thoroughly enjoyed the tour and your company and thank you very much for all your hard work, enthusiasm and commitment in making my first visit to South Africa such a resounding success. Given these factors I don’t think you need to improve anything, everything is spot on, keep doing what you are doing. Thanks again Brian, keep in touch. I just wanted to say thanks very much for a great tour. After all those years of wondering if a Birding tour would suit us you made it work. 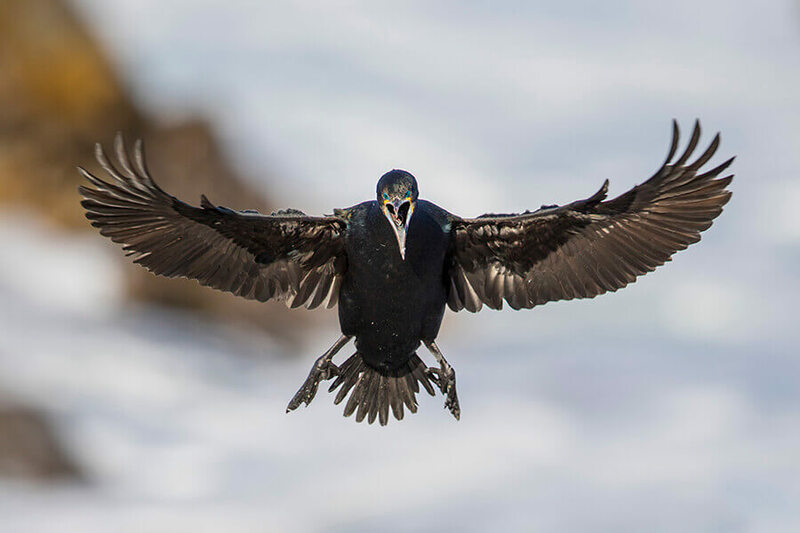 Our concern was that we enjoy birds but are not super knowledgeable and intense but you adjusted to our style or level and made it very interesting and enjoyable. So many birds to think back on and we will go through Roberts and look them up. Strangely the larks and canaries seem to feature highly in the memory. I must firstly thank you for a fantastic time I had with your outfit. It was indeed a birder's birding experience with passion! 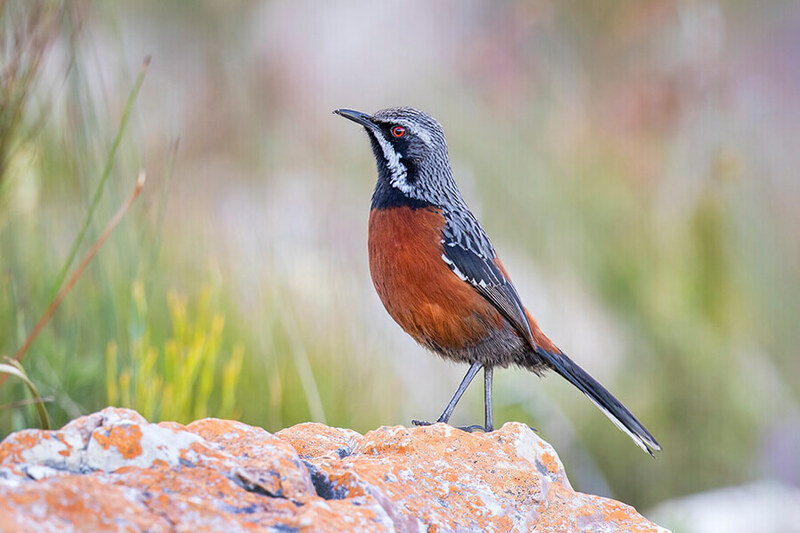 Classic birding by sight and ear, and the sixth sense: the Protea Seedeater and the Rock-jumpers were sixth sense; the guy with the scope couldn't find them until you showed him where! Will come again to SA. Thanks for a couple of great days bird watching. We really enjoyed those two days and appreciated your skill and help. Overall I saw about 280 bird species in the 2 weeks in South Africa, of which 118 were life ticks. I also had close up views of leopard and great white shark, which were memorable. First of all, thank you so much for another superb trip! Your efforts on our behalf are greatly appreciated. Hope all is well, we have just arrived back to HK the day before, fighting off the jetlag and getting back to work! Will just like to write to you to thank you for your warm hospitality and your expert guiding, it was very exciting birding with you, thanks for showing many of our target species! Will no doubt love to visit SA again sometime in the future! Thanks again, and hopefully will be able to bird with you again in the near future. Just a quick e-mail to say thanks for a great couple of days birding. I really enjoyed it. So it's Northern Cape the next time we come back! Re: Habitat trip around Cape Town - 72 species. Arrived home today and we agreed on the journey that we must contact you, but you beat us to it.Thanks for the email but especially for a lovely day. The trouble is that we were convincing ourselves that we did not need to 'do' South Africa again, however we enjoyed your tour and the Kalahari sounds good. So, you may find us back in touch again. 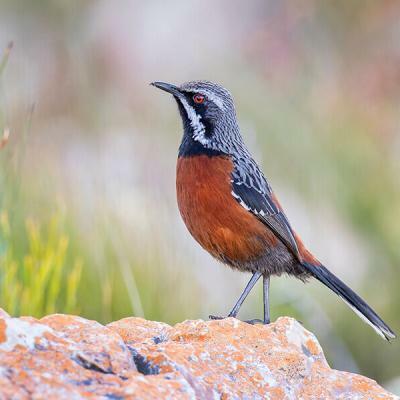 "Brian Vanderwalt took four of us around the Western Cape for seven days, found all the birds, drove 1500km, organised some wonderful and unique accommodation in the various habitats and at all times generated a happy good humoured time for all. He is a birding legend and this is an experience that no serious birder should miss." Yesterday returned to a freezing cold UK after 2 weeks in Sunny Cape Town. Just a short note to say thank you for the 2 days brilliant birding we did with you last week in the Cape area. Not only did we see the normal brilliant selection of birds in some stunning habitat but you also managed a couple of lifers for us and a trip to a winery! Thanks again for a fabulous day birding the cape. I look forward to the next time I am down your way. This is just to say THANKS for a great trip! Worked out ideally from our perspective. By the way, I ended up with 17 lifers, which is a great 2 day trip total. More importantly, we got such great views of almost every new bird AND we got to see a beautiful part of the country! We thought it was a great trip. I felt like we had a good amount of time at each of the stops. A little hiking/walking around every now and then for the legs was good. Now we know about the awesome Tankwa Padstal! The guesthouse was just right. Good food there and decent accommodation. Thanks again. I do hope we can do another guided tour with you some day. And we will definitely recommend you to others! Just a quick note to thank you for your patience, skills and excellent company this week. It has been a great introduction to African birds, and a real stimulus to think about coming back for a more serious look with you at some of the areas you talked about. I am not sure when that would be though! We want to thank you very, very much for such a great birding--and cultural--experience in your beautiful country. 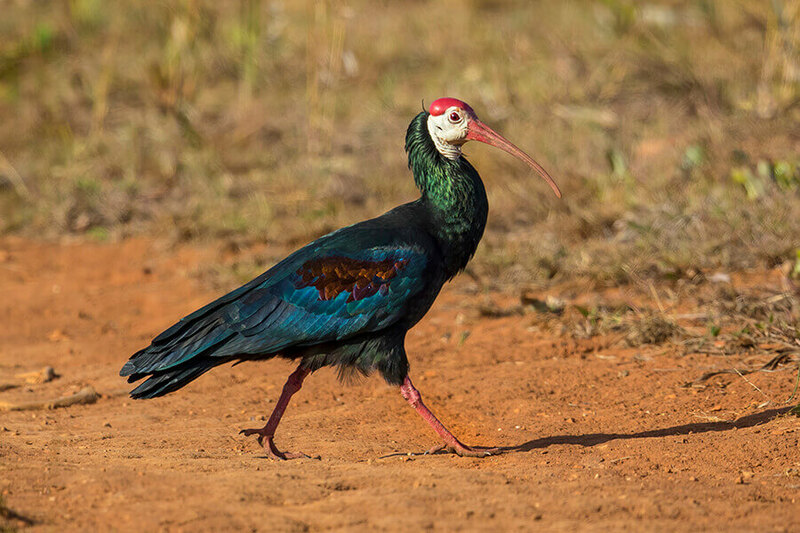 We are in awe of the landscape in SouthAfrica, and the birding is great too. Staying at bed and breakfast places gave the trip a much richer experience for us than a "plastic" hotel. Honeywood Farm and "The Little House on the Prairie" stand out in our memory as especially wonderful. Now Brian is reliving the trip as he tries to figure out the photos. Anyway, there were so many magical moments on the trip for us, like the wonderful Clapper Lark singing joyfully in the wheat field (not to mention the burly farmer who whipped our his bird ap). In fact I loved all the larks, as we have so few in the States. I think we also loved the Jackal buzzard and the Black Harrier. As you put it, "Isn't he magic?" For Brian, I think seeing the famous Langebaan with its fynbos was special. 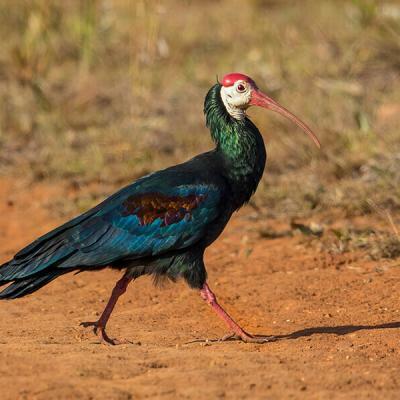 We appreciate the extra mile (literally) that you went every day to show us S. Africa's birds. And yes, I loved the beauty of the Karoo. Thank you! Many thank again from both of us. Thank you so much for such a wonderful time. We enjoyed meeting you and Birding with you. I enjoyed every moment of my time with you. I have many photos & treasured memories. Best Wishes from a clear (although slightly smoggy), & chilly (0 deg Celcius!) Salt Lake City. Thank you Brian for an excellent birding trip. You are a very sharp birder and a pretty nice guy! "Brian, I thoroughly enjoyed your guiding us on our Cape area tour in Oct 2013. You have so much enthusiasm and passion for finding the birds. While you were driving I was watching you from the back seat. Your head was constantly going back and forth in bird search and you were always in the moment for birding. I particularly liked our search for the rock jumper even though we weren't successful. I also got great thrill from our Karoo excursion. I could have walked for hours across that terrain with you telling us about the plants and flushing up the endemic birds of that region. Also, thanks for beer at that little bar and store in the middle of nowhere." Thank you so much! Great birding! Enjoyed your perspectives on history, plants and more in depth info on birds and their behaviours (“Clapper” for example). I loved the fact that you gave us all personal attention. You are very comprehensive in your approach & not just checking off a list. You gave personality to the experience! ! ! You were the best “guide” and your enthusiasm & positive attitude made it all even better. Thanks for a great tour, Brian. Although we had some challenges we don’t normally face, and you handled them beautifully. Looking forward to birding with you again. About a month back home now and I'm just finishing working up my African images. Phew. It was great meeting you and many many thanks for giving Margaret and I such a wonderful overview of South African habitats and birds - it was such a good time that it has taken us a while to get back to "normality"! Every view and sighting was special and we got to see lots of nice scenery too. Kirstenbosch Botanical Gardens was truly amazing in its setting and outlook - one of the many highlights of our adventures. What a fantastic holiday with you. You are amazing "Rock Jumper at 50 yds, left" at 50 mph, etc, etc, etc! You gave so much time and put so much effort to making made it such fun and happy time, besides all the birding. I have some photos that I’m really pleased with and a lot that are a good record. I do hope all is well with you over Christmas and that you get a well deserved break. Kathy, Adrian and I finally arrived back in the UK yesterday morning after our overnight flight from Jo'burg. We just wanted to express our sincere and heartfelt thanks for providing us with birding holiday memories that will live with us for ever. 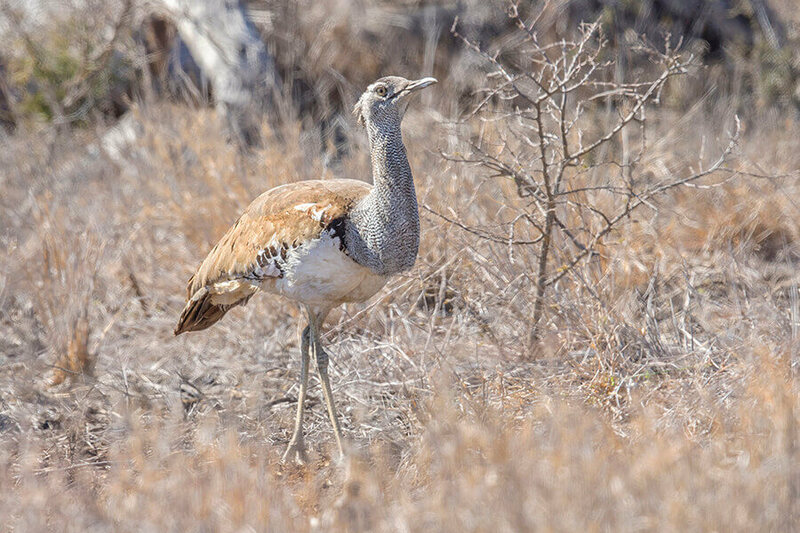 Not only did the two of you find some fantastic birds in large numbers but our total South Africa experience could not have been possible without your dual team input. You both worked tirelessly to make us get the best from our trip, from accommodation, meals to transport everything was superb. You did a truly great job! Again very many thanks to you both and Brian, you haven't seen the last of us either! Many thanks for the photos. Yes, we have both returned safely to a distinctly chilly England after a great time in SA, especially with you! We both very much enjoyed our time with you; in fact it was by far the best part of our whole trip to South Africa. I am sorry to say that I cannot think of any way in which you could make improvements; so far as we were concerned, it was just what we wanted! Many thanks for your email and the picture. After a manic return to home, I finally get a chance to write to you and thank you for an amazing trip. It was a pleasure to spend the day with you and the knowledge you showed was amazing. If we are ever in South Africa again ....or Namibia, then we will contact you to see what we could work out. I enjoyed our afternoon, will recommend your services to other birders if they are coming to ZA! This is just a note to say again how much I enjoyed the trip to the Betty’s Bay & Tankwa Karoo earlier this week. We leave later to day for the Garden Route, returning via Prince Albert and the southern Karoo. Brian – I just wanted to say how much I enjoyed my trip to the Cape & Tanqua Karoo with you. You managed to find almost every single bird I was looking for, and your company made the whole thing even more enjoyable. I would certainly recommend you to any other birder looking to fill in their list of Cape Endemics. Will call you when I’m coming down again for the Pelagic, and we can maybe look for these and the Larks. I wanted to thank you so much for persisting in your search for the blue crane. It was a great find! And thanks again for all your attention to us. We had a wonderful experience with you as our guide and we saw so many beautiful African birds. We appreciated your awareness of all of us wanting a view of an elusive bird that at least one of us could not seem to pinpoint: your ability to get us lined up was amazing. Thank you. The trip thro Kirstenbosch Park was a great way to get us started on Cape birding. Everything in the park is worth bragging about! We enjoyed seeing the penguins, although I confess I had not expected the strong odour until I encountered it! Thank you for taking us around the Cape area. Thanks for a very enjoyable Tygerberg Bird Club outing on Saturday and also your informative list on Tygerberg & Cape Bird Nets. I really like the way that you describe the birds when we are looking at them as it is very helpful in remembering the details of the birds for future recognition. A month in South Africa is definitely not enough time. We really appreciate your part in making it such a wonderful tour. Thank you for sharing your pictures with us and for a wonderful time. We all thought your trip was great. It was exciting to see so many species and I loved your ability to find little spots that produced. I was very impressed - it would be hard to make suggestions for other places as I don't know the area well enough.. I did see some new species in the Karoo: Verreaux's Eagle, SA Shelduck, Spotted Flycatcher, Cape Bunting, Southern Masked-weaver, and Red-billed Quelea. Fun to see the Karoo countryside. So all in all a very nice short visit to South Africa. It would be fun to cook up a return and get you to put together a trip to the north. Really appreciated your input and approach. Thank you for Karoo Species. I want to thank you for a very special and very exclusive experience with birding in Cape Town area. You were very pro - all the way, so I just want to tell you that I was very satisfied. Just a short e-mail to express my deep appreciation for all your efforts during our Birding trip. The total of 217 of which for me 185 were new birds is a testament to your knowledge, skill and dedication. Thanks for the pictures, they are great! I really had a great time on Sunday. I made the total and we had 103 species, quite close to your estimate of 105. Perhaps Steve has a couple more species in his notebook that I did not have time to note. I arrived in a Montreal colder than Cape Town, which is not supposed to be the case at this time of the year! Thanks again for everything. I will strongly recommend your services if I know of people planning to bird in South Africa. I have been back for about 2 weeks now and am just getting to the point that I have the time to write to you about my adventures in South Africa. So how was South Africa? It was the greatest time of my life. I cannot thank either one of you enough for all that you did for me. I found it very difficult to do all of the booking of my trip from Connecticut; however I must be one of the luckiest people around. You were very easy to work with and very forthcoming with the details of everything and I found you to be an awesome resource. As far as having Brian as my guide I cannot say enough. Brian is an amazing guide and knows so much about so many different things. He and I had a great time birding, talking about plants, insects, lizards, and many other things. I had an amazing time and I think that Brian and I got along really well. He is without a doubt one of the best guides that I have ever been with. I have had the opportunity to work with many and Brian is just outstanding. One of the things that I like most about him is his ability to find identify and understand the birds, but at the same time not disturb them by playing tapes. I am not big into tape calling in birds, and I was relieved that he was the same way. He showed me so many different birds and made sure that I didn’t just see them but was able to study them and also get some very good photos. In addition, Brian has been keeping in touch with me and I am going to send him some photos so that I am sure of their ID. If and or when I come back to South Africa I can guarantee that I will be using your services. In addition I am going to be telling all of the birders I know about both of you and will encourage them to use your services. Again I cannot thank you all for all that you did for me. I had over 300 species. I got about 80% of the Cape Endemics and 40% of the South African endemics. Thank you for a wonderful days birding with the Ehlers couple in the Tanqua. It was an absolute privelege to see how your patience and persistence pays off in the field. I believe far too many birders are in too much of a hurry and hence "depend" on call back tapes. My tape recorder packed up years ago and I am not intending to replace it. A BIG thank you for such a wonderful time in the Tanqua, for all the trouble you went to to get us there....and ESPECIALLY for that amazing sighting of the Cinnamon Breasted-warbler! What a treat. Again I say what a fabulous driver you are! I cannot begin to thank you enough for the unbelievably special time we spent with you in the Tanqua. I just LOVED every minute of it and am so chuffed to have added so many lifies to my list. Thank you for going the extra mile and just for making our birding trip such a wonderful experience. I so look forward to our next trip. Big thank you for a most wonderful weekend in the Tanqua. It was totally awesome and your birding knowledge amazed me - in identifying their calls and habitat etc. You have an amazing gift so keep up the good work. Then besides the thrill of all the birds, the flowers were beautiful. Hope the Tanqua Taxi is always in business. Many thanks for the photos and especially the excellent birding experience. For you to find 6 out of 6 birds requested was exceptional. I look forward to birding with you again. Thanks for correcting the bird IDs - don't want too many embarrassing errors! Having sorted out the IDs I thought you might like to see a few of the images that I like best (I know what these are!). Of course good photos opportunities are made when the guide places you in the right position for the shot to be taken and we thank you very much for doing just that on so many occassions. Cape Town weather sounds very different from when we were there. Meanwhile we are getting a dose of Boulders penguin weather - torrential rain and high winds! I can only say that I thoroughly enjoyed the two days of very successful birding. Your local knowledge was very impressive and I will certainly show my appreciation at least by booking with you again next time I am birding in Cape Town (probably in about 6-8 months). Hope you have a healthy and sufficiently busy winter. P.S. I spotted the House Crows at the airport. Hope this e-mail finds you well. Herewith my trip report that I have also posted on other Birding sights, thanks for all your efforts, it was a great trip. An idea to visit Cape Town and get to grips with some Cape endemics during a week’s hard birding was hatched last year between me and my brother Lee. With only a week in the field we decided to maximise our time by utilising the services of a local bird guide. After some net research we decided on Brian Vanderwalt. The decision to use Brian was down to the fact that he catered for individual birders. As it transpired I don’t think we could have picked a better bird guide. Brian’s birding skills proved to be exceptional. He knows all the bird calls and how to replicate them to elicit a response, where to look for the more elusive species, and most importantly his identification skills are second to none. He also put the time in, always going the extra mile, quite literally, to get us the birds. During the preparation period we e-mailed Brian a suggested itinerary and an indication as to what we were after. Brian came back with a revised itinerary that suited our needs and also organised accommodation and a Pelagic for us. I cannot recommend Brian highly enough. We had a fantastic time with you in the Western Cape and look forward to coming down again and doing the Garden Route or the Kalahari next time. Love to come back though as we really enjoyed it so much. Thanks again and good birding. Thank you again for the days guiding you gave us at the Cape and the West Coast. We enjoyed it greatly and you found us so many species and gave us great views. Thanks also for the travel hints you gave us about Bushmanland and the Kalahari. We had excellent Kalahari sightings. We saw 212 species of birds, lions on all 4 days and a leopard in a tree with prey in the Auob valley. Many thanks again for stepping in to help at short notice. When my wife and I first went birding with Brian, on two days in October 2005 we vowed then that one day we would return to South Africa and would go with him on a longer trip. This March we did just that – travelling up the West Coast to Springbok and then turning East via Pofadder and Pella to Augabies and then up to the Kalahari and Twee Rivieren before turning back south via the Tanqua Karoo to the Grootvadersbosch Forest Reserve and finally the De Hoop Nature Reserve before returning to Cape Town. The trip was all we hoped it would be and more. The accommodation which Brian had found for us was superb, each place full of character in its own way, and the birds were brilliant. It is difficult to pick on one place in particular, but the Kalahari was fantastic – the high point being not a bird but brilliant close views of a leopard! The entire trip was excellently organised by Brian who once again showed himself a five star birder and a great companion. We are already looking towards another trip in 2009! I was among the 6 clients who Brian Vanderwalt took to the Tanqua Karoo last week and I really want to recommend Brian as a Master of the Tanqua! We could not have had better guiding! Not only does he know the birds and plants but he has the right contacts as well! I learnt a lot from his wealth of knowledge and unbelievable spotting. H is safe driving in a comfortable vehicle took all the hassles out of the excursion. Even though we had bad weather on the first day, we enjoyed it all the way! Thanks, Brian, it was all I hoped it would be! author of "A Birdwatchers' Guide to The Gambia" - Prion Ltd 1994"
We had two days out from Cape Town, birding with Brian. The first was around False Bay and Betty’s Bay whilst the second took us up to the West Coat National Park. 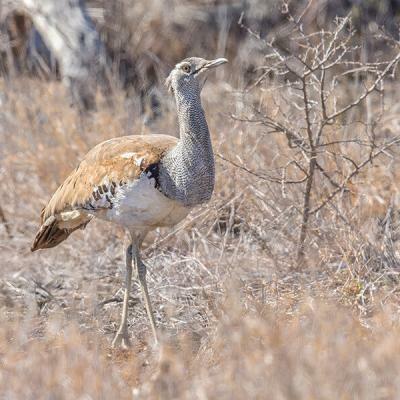 Both trips were brilliant, and it is difficult to pick on anything, but Cape Rockjumper, Verreaux’s Eagle, Blue Crane, Southern Black Korhaan and Black Harrier have to be amongst the many highlights. Brian is not only a top-class birder, who really knows his birds, what they sound like and where to find them but a great companion. We were both sad to have to say goodbye to him, and hope that one day soon we will be able to return to South Africa. If so, the first person we shall contact will be Brian! "Anyway, what I really wanted to say was a huge "thank you" for such an amazing birding trip! I have been on quite a few and have never seen anyone with such a natural gift and dedication for finding birds as you have. The route was excellent in that it covered all the various birding habitats and was enjoyable from the scenic point of view as well. Brian, how you kept so alert driving through the long hot afternoon "graveyard shifts", while your clients heads were nodding on their chests, I don't know. Come to think of it, now I know why the hooter kept going off! Just to keep us on our toes! The accommodation, meals and hospitality at the B&B's was excellent, and Esther's superb padkos packs in the Tanqua Karoo deserves a special mention. The Knysna Woodpecker at De Hoop and the diminutive Damara tern at the breathtakingly beautiful De Mond estuary, are memories I will always treasure. What more could ask for than 11 out of 15 birds on my "Wish List"! Hopefully I will be coming back in April for another Pelagic and to track down the 3 elusive warblers and Cape Rockjumper"
"Thank you very much for your pleasant company during the weekend of 28-29 February 2004. I think we had a very efficient birding trip, and I will certainly recommend you to the Tour Committee. As you can see, according to my recordings we observed 127 species altogether (you got a few more - I know that), and more than half of those were new to me. Excellent!" "Having birded round the world, I found Brian to be an excellent birder and birding guide. He knows where the birds are, whether it be a remote location in the karoo, a retention pond, or in a neighbourhood. In a few very enjoyable days we saw about 80% of the 225 birds in the Cape Town area, including many of the endemic species, sure to please any "lister". He also has broad knowledge of the natural world to fill in the down times, making birding with Brian a well-rounded experience. Not only a good birder, he's a good companion as well." he arrived on time, was flexible as to itinerary, charged reasonable rates, and had a great attitude. I didn't feel like a tourist. his car was in good repair and clean, and his driving skills and traffic judgement were exemplary. Most importantly, he was a real guide. 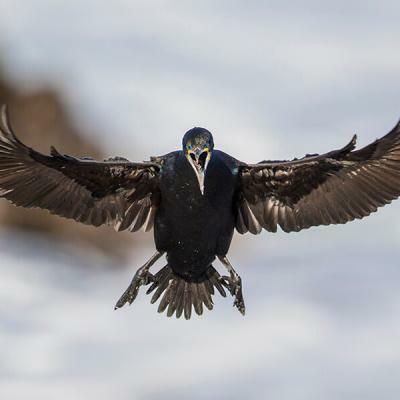 He knew where to find the birds He knew about their nesting and migratory patterns, habitat requirements, and which species were endangered and why. He is a great spotter, noticing many birds I would have missed. "Also thanks again for your time and expertise in Cape Town. I managed to notch up about 170 species in all - not bad for a business trip...17 'firsts'..."
I have to tell you that Brian is a very good guide, a prepared birdwatcher and a very nice person.